Eden garden witnessed the clash of two teams who are on top of the ladder on ranking this IPL season. Looking at the stats of both the teams in IPL Chennai Super Kings won 4 matches out of 7 when played against Kolkata Knight Riders. The last match which was held between these two team where a huge score of 202 runs was placed by Knight Knight Riders and Dhoni led team successfully chase the mammoth score which made them lead the chart. Taking revenge this time KKR with ease chased down the run of 177 runs by beating then with six wickets and 16 balls to spare. From Knight Riders side it was the full team effort counting from spinners to skipper Karthik as a finisher. Prior to the match, there was much speculation related to the pitch of Eden garden favouring team who will bowl first and in fact, Crix11.com predicted pitch report with implication on the match. Kolkata Knight Riders skipper Dinesh Karthik putting speculation and prediction of pitch correct by opting to field first after winning the toss. When asked by Dhoni on batting first he also said about going to field first in case he would have won the toss. Chennai Super Kings while batting first had a huge pressure not only from pitch scenario but also expectations riding high on their head after proving their capabilities in prior matches. CSK while batting first scored 177 runs in 20 overs and again inform captain Mahi hit four massive sixes at death overs made spectators over the edge of sits. Dhoni was the top scorer with 43 runs out of 25 balls when other batsmen were struggling to get through ball placement. Openers Watson and South Africa skipper Faf du Plessis player slowly during the power play in order to settle down until latter got out at 27 runs. After the opener partnership broke when CSK was 48 runs at 5.1over, Suresh Raina scored a decent run of 31 inclusive of 4 boundaries to stabilize batting order after Watson got out. From CSK batting side it was Dhoni batting which helped his team to set the target of 177 runs when things seemed to be difficult for them. Piyush Chawla and Sunil Narine from KKR side placed CSK batsman into backdoor with their spin and both took 2 wickets each. 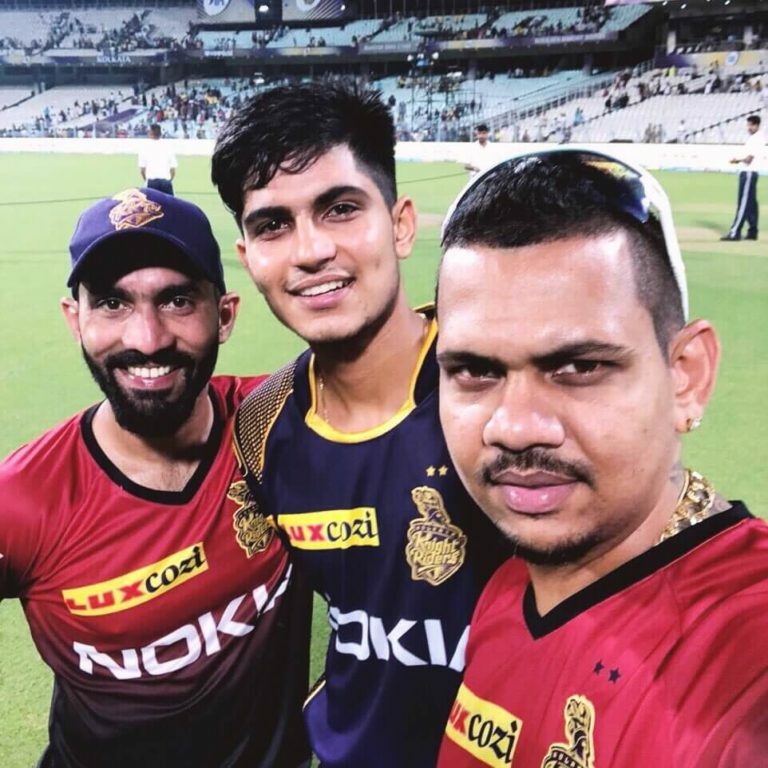 Kolkata Knight Riders successfully chased the run of 177 runs with ease by a mature performance from Dinesh Karthik at the end by finishing off the match. While batting second losing their first wicket as Chris Lynn at very first over things was quite stumbling for KKR at the beginning exceptional with Sunil Narine blasting batting with two sixes and four boundaries. It was Gill half century inning which made KKR live even after losing Robin who scored merely 6 runs. Things got interesting in the match between these two rivals when Dinesh Karthik played his favourite part as a finisher by building a partnership of 50 runs out of 23 balls with Gill. With this inning, people can see the maturity in Dinesh Karthik as a batsman and captain who sailed the boat successfully. Chennai Super King today lack the team effort which we saw in Kolkata Knight Riders in today’s match. CSK bowlers though fetched some early wickets but they unable to sustain that and above that spinners couldn’t do much what we saw in bowling in Sunil earlier tonight. One of the most interesting fact what most fans are observing out of 8 matches played between these two teams, each team winning in an alternative manner. Like the last match won by CSK and today’s match by KKR, prior to that this alternative theory of winning and losing could be observed.